The Canto: NEW VOICES Concert will be the grand finale in Opera Cultura's celebration of National Hispanic Heritage Month (Sept 15- Oct 15). Now, more than ever, it is important to celebrate the Latino-Hispanic community! It is through the arts that we are able to bring people together and honor Latino-Hispanic culture. 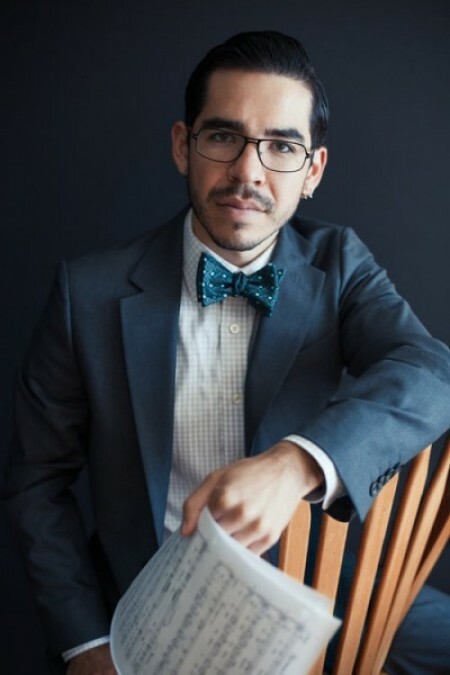 The inaugural Canto: NEW VOICES Concert will be an exciting concert of brand new works performed by brilliant new voices, highlighting the experience of Latino Americans through the beauty of music. Showcasing the winners from the national Canto Online Vocal Competition, New Voices offers the opportunity to see classical repertoire in Spanish that is not often performed, sung by artists who will wow you with their vocal prowess! This concert also includes new works from three emerging composers. "Free to Live," a soprano aria from Héctor Armienta’s La Llorona, blends neo-romantic and minimalist textures to express Sara’s desire to leave her village and explore what nature lies beyond. She is specifically called by the power of el rio (the river), whose spirit has called to members of Sara’s family for generations. "La Partida" by Spanish composer Fermín María Álvarez - With an extended traditional flamenco style introduction, La Partida, or The Farewell, uses this style to express a feeling shared amongst many Spanish speakers worldwide — the sorrow of leaving one’s homeland. "Vivencias" & "Desde Aqui" - These pieces by Carlos Guadaramma, classical guitarist, director, teacher, and composer, truly exemplify the longing for home that many Latinos feel when leaving their home country to seek opportunity. "O luce di Quest'anima" from Donizetti's Linda Di Chamounix - Domenico Gaetano Maria Donizetti (1797–1848) was an Italian composer of bel canto opera during the first half of the 19th century. In his career, Donizetti wrote almost 70 operas that were performed throughout Europe during his lifetime and beyond. Some of his more notable works include L’elisir d’amore, Don Pasquale, Linda di Chamounix, and Lucia di Lammermoor. "Tus Manos" by Nicolas Lell Benavides is based on the poem of the same name by Pablo Neruda. It is inspired by the world of Latin-American folk music, borrowing from folk forms, harmonies, and marimba patterns. "Chansons de Ronsard" by Darius Milhaud - This piece was written for the famous French coloratura soprano, Lily Pons, and was chosen for the Canto program to highlight Virginia Hesse's vocal skill. The texts of Chansons de Ronsard are a playful description of the many joys of spring. "Primavera" by Joaquín Rodrigo - Rodrigo was a Spanish composer and a virtuoso pianist, and his music is among the most popular Spanish classical music of the 20th century. Virginia Hesse was the winner of the 2017 Canto Online Vocal Competition. 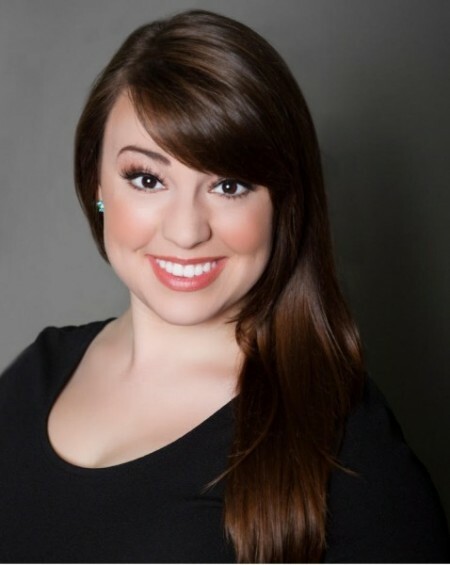 She is a stunning coloratura soprano from Houston, Texas, and will be travelling to California to perform at New Voices. Michael Orlinsky is a very talented tenor/baritone (and composer!) 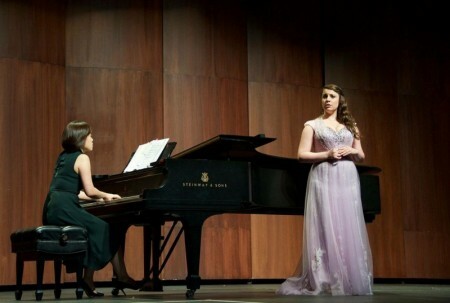 from the San Francisco Bay Area, who was a finalist in the Canto Competition last year. He has sung over 50 roles so far in his quickly budding career. Eunah Cho is an experienced pianist and teacher based in the San Francisco Area trained in classical piano performance. She also has a jazz trio album, "I Get it Now." Diane Grubbe will be joining on flute for two selections. Nicolas Lell Benavides is a musician and composer based in San Francisco and Los Angeles, CA, but originally from Albuquerque, NM. His music has been described as “wonderfully structured and harmonically imaginative…” (Brian Rosen, Music vs Theater), and he has been called a “new music impresario of San Francisco” (Cy Musiker, KQED Arts). Carlos Guadarrama is a classical guitarist, director, teacher, and composer. He was born in México City, and has studied Classical Guitar, Harmony, Composition, Arranging and Film Scoring. Two of his compositions were selected from the many submissions received for this New Voices concert. 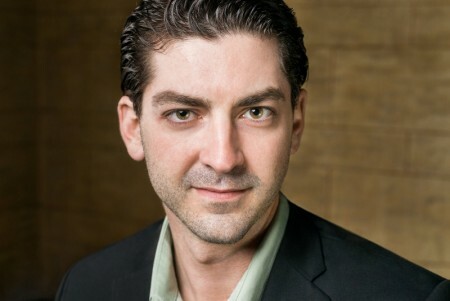 Michael Orlinsky will be featured as a composer as well as a singer for the New Voices concert. 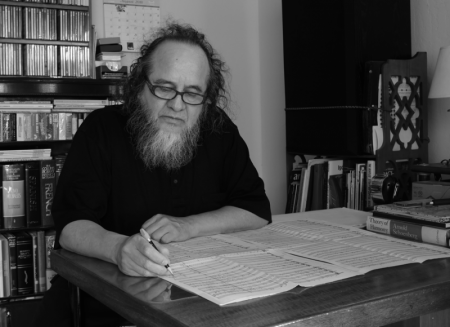 He began his composing career in the Mid 2000’s writing contemporary music in a variety of styles. Orlinsky has an extensive repertoire of over 80 songs, including many art songs and a few instrumental works. A VIP ticket package to Opera Cultura's production of La Llorona in San Jose (June 2019), including 2 premium Orchestra seats and admission to the VIP reception. *** You must be present at the Canto: New Voices Concert to claim your prize. All proceeds will benefit Opera Cultura's 2018-2019 season, including the full production of La Llorona/The Weeping Woman, educational workshops, and other fun events! Join us after the concert to meet the artists, sip wine, and help raise the necessary funds for Opera Cultura's 2018-2019 season! It will be an intimate reception with very limited capacity, and first-come-first-served. This is a unique opportunity to meet some of the most talented emerging artists in the country and enjoy refreshments together! A $50.00 donation is suggested to attend. 1) Email t.liu@operacultura.org to RSVP. 2) CLICK HERE to purchase concert tickets and select the "Fundraising Event Donation" in addition to the General Concert Ticket.